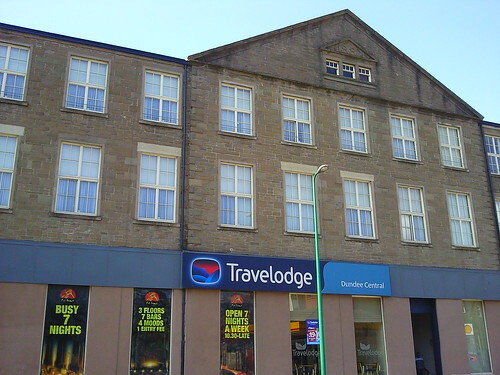 I stayed for at the Travelodge Dundee Central for one night in May 2010. I paid Â£12 for the room, booking in the January sale. The building was originally a jute mill, so the rooms are different to standard purpose built Travelodge rooms. There’s a good sized free car park at the rear. I requested a room at the rear of the hotel as the front of the hotel is on aÂ fairly busy road. My room was enormous and had three windows. Luckily it faced west so I wasn’t wakened by daylight. However I did have a rude awakening at 6.45 as a Tesco delivery lorry reversed into the unloading bay, adjacent to my room. As ever a city centre location is unlikely to be peaceful but does have the advantage of being able to walk to most Dundee attractions within a few minutes. If you can find a promotional rate room at the Travelodge Dundee Central, Dundee is a great location for a UK short break. 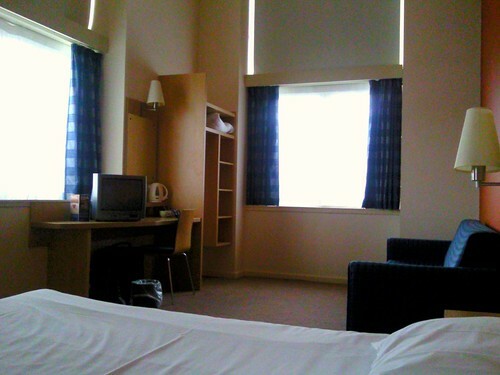 This entry was posted in Accommodation, Hotel Reviews, Save on Travel, Scotland, UK and tagged Dundee on May 20, 2010 by Karen Bryan.